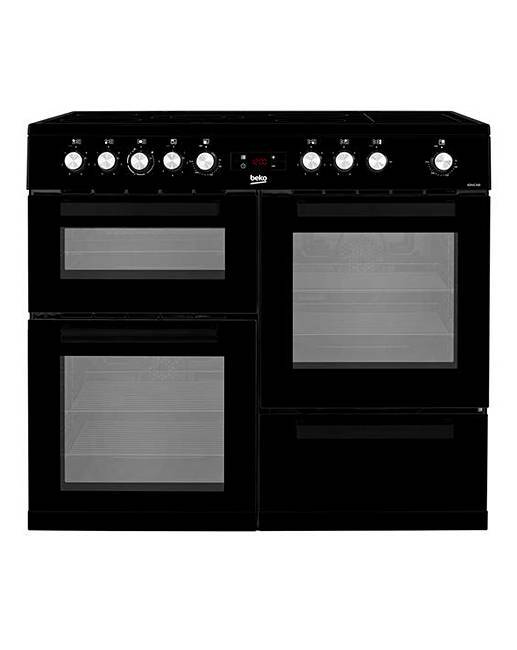 Beko KDVC100K Electric Range Cooker is rated 5.0 out of 5 by 1. 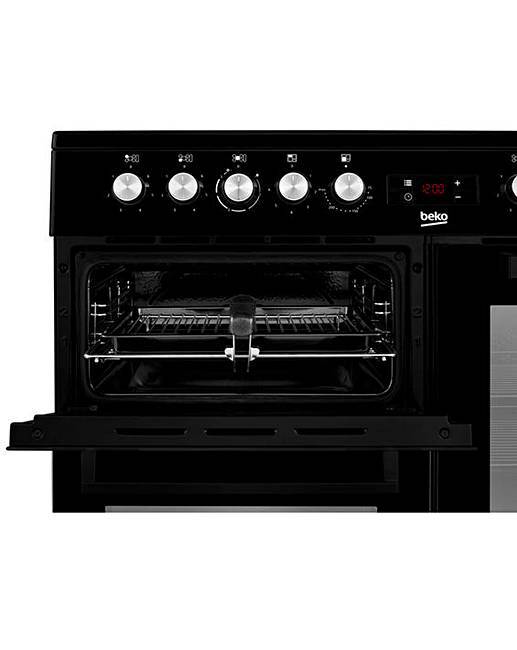 This stylish black electric range cooker from Beko will help you create lots of tasty meals. 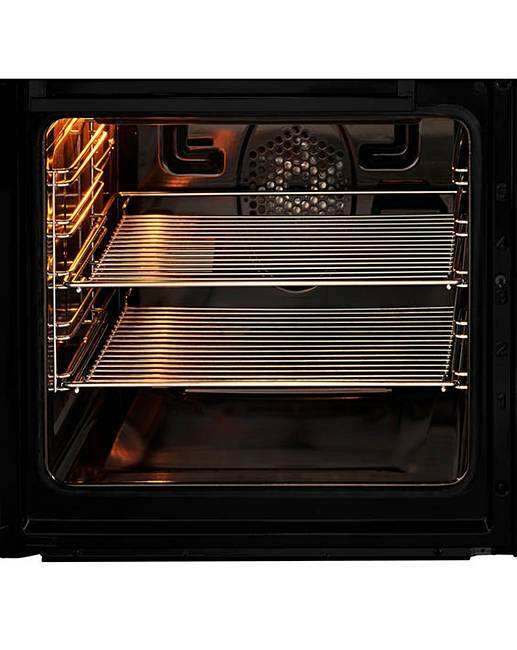 It has 4 cavities, including two electric ovens, electric grill and a storage compartment, too. 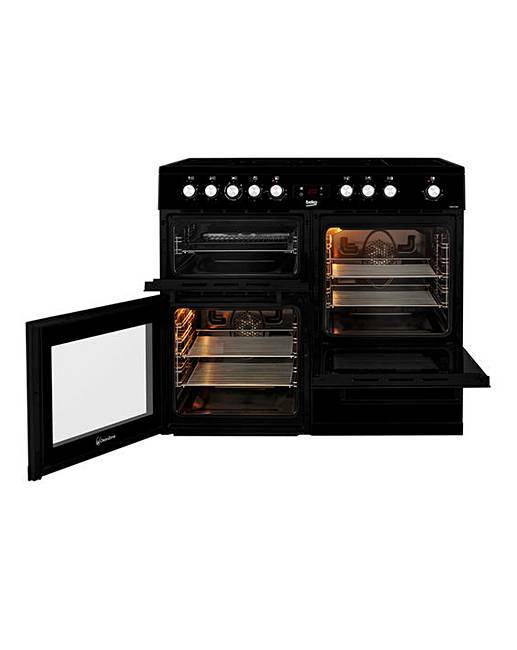 This model’s main fan oven circulates heat inside so everything cooks evenly – perfect if you’re baking a batch of biscuits. 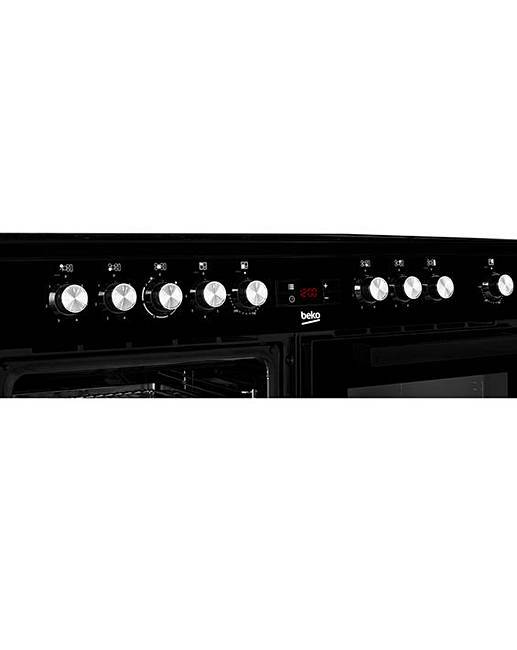 It has a second fan oven too, which gives you extra space to cook several dishes at once. 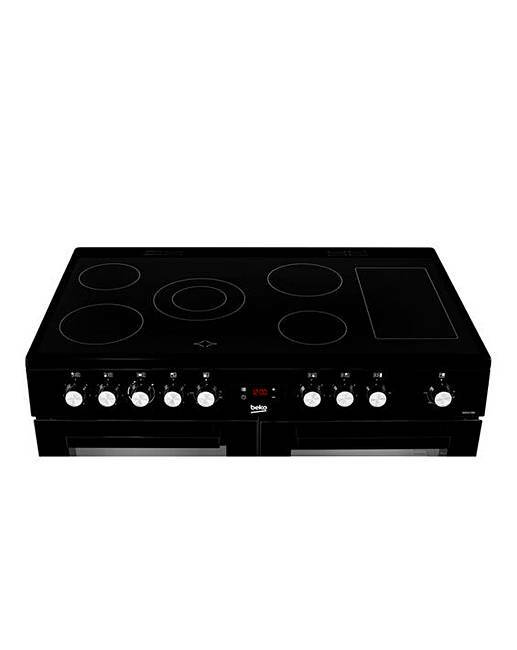 The spacious 7 burner electric hob means you’ll have lots of room to simmer sauces, boil rice and stir fry vegetables, and the enamel pan supports are easy to keep clean as well. H.90 x W.100 x D.60cm. Rated 5 out of 5 by Christy from Perfect for what I needed Bought this over a month ago and am so happy with all its features.